It rained buckets. Everyone had a great time. Check out the wonders of this year's most amazing Energy Fair. Tom Simko of Inkom, Idaho uses solar heat, photovoltaics, wind power, and wood to power and heat his home and business. Tom builds experimental aircraft using renewable energy. Bo Atkinson uses a dome to collect solar heat for showers and space heating. Steve Willey reports on making electricity directly from heat using a thermoelectric generator. Richard Perez discusses how inverters stack up. Included are the specifications for 52 different inverters from 12 different manufacturers. Shari Prange discusses installing batteries in electric vehicles. Considered are placement, wiring, and more. Michael Hackleman discusses the refueling and recharging of electric vehicles. Anyone want to swap out batteries instead of filling the gas tank? Richard Perez discusses getting the angle on the question,'' Does it really matter if I adjust my modules to face the sun?' 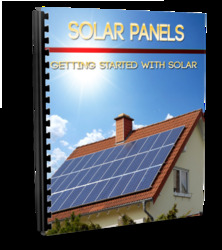 Included is a chart for adjustment of PV modules from the Equator to the Arctic. Laurie Stone tells of her experiences building and operating solar stills in Nicaragua. 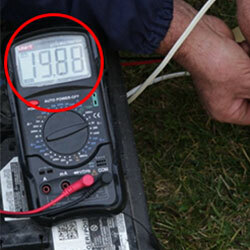 Richard Perez explains how to use a voltmeter to determine how much power remains in your lead-acid battery. Gene Townsend discusses home building an inverter that has no transformer. Included is a schematic for the power output stages of this 10 KVA inverter. Therese Peffer compiles a coherent and complete Index by subject. Now we can all find what we've been looking for. Lost in the sea of information? Well, here's a lifesaver! John Wles discusses the proposed changes in the 1996 National Elecctric Code. Therese Peffer gets a grip on recharging small nicad cells with equally small PV modules! Kathleen Jarschke-Schultze gets all wet and misty with the rest of the Crew at this year's Midwest Renewable Energy Fair. 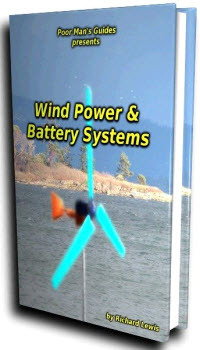 Mick Sagrillo reviews Paul Gipe's new book, Wind Power for Home & Business. Ever go to rescue someone in distress and get into more than you figured on? Well, Kathleen Jarschke-Schultze tells a classic tale of stuck in the mud. The Wizard divulges new sources for free energy information. Cover paper is 50% recycled (10% postconsumer and 40% preconsumer) Recovery Gloss from Silverleaf Paper Company. Interior paper is 50% recycled (10% postconsumer and 40% preconsumer) Nature Web Suede from Simpson Paper Company. Printed using low VOC vegetable based inks. Home Power (ISSN 1050-2416) is published bi-monthly for $15 per year at P.O. Box 520, Ashland, OR 97520. International surface subscription for $20 U.S. Second class postage paid at Ashland, OR and at additional mailing offices. POSTMASTER send address corrections to Home Power, P.O. Box 520, Ashland, OR 97520. 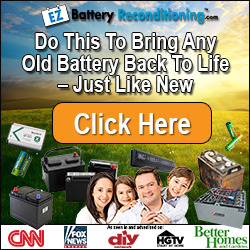 Copyright ©1993 Home Power, Inc.
All rights reserved. Contents may not be reprinted or otherwise reproduced without written permission. While Home Power Magazine strives for clarity and accuracy, we assume no responsibility or liability for the usage of this information. Well, it's official. I'm happy to announce that Alternative Transportation News (ATN) is uniting with Home Power (HP). Karen, Richard, and I discussed the possibilities between workshops at the Midwest Renewable Energy Fair in late June. I was happy to discover how open they were to the idea. There is much to be gained by this "union". ATN has a loyal subscriber base, many of whom have re-subscribed in the face of uncertainties with the magazine's continued existence. Understandably, advertisers have shied away, putting their limited budgets to better use in larger magazines. For this reason, the production of ATN has ground to a halt. I have exhausted both the magazine's and my own personal accounts in a futile attempt to keep it going. I consider transportation alternatives an important part of the solution for today's environmental puzzles. I have not wanted to see this door close. I am excited about the union of ATN and HP. Without real dilution, the flow of this information is maintained. Indeed, it is accelerated. Bless them, Karen and Richard revealed that, in the past, they steered clear of transportation issues in HP to give ATN a chance. Now, this need no longer be kept separate. Transportation is too vital an element in our daily lives to be left out of the discussion. Transportation technology is complementary with independently-generated power. 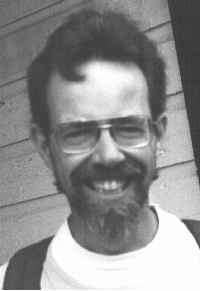 My exploration into electric vehicles and other transportation alternatives began in the 70's. My home and shop were both designed to be solar, and we aimed to generate all of our electricity from pre-REA windmachines. Our first EV was charged from wind power. We called it Ox — a workhorse vehicle. Ultimately, I wish to empower HP's readers with the knowledge, ability, and confidence to realize their own alternative transportation ideas. A human being is a part of the whole, called by us the "universe," a part limited in time and space. He experiences himself, his thoughts and feelings, as something separated from the rest — a kind of optical delusion of his consciousness. This delusion is a kind of prison for us, restricting us to our personal desires and to affection for a few persons nearest to us. Out task must be to free ourselves from this prison by widening our circle of compassion to embrace all living creatures and the whole of nature in its beauty.